Judson and his most significant work. Adoniram Judson, the American missionary who first promoted Christianity in Myanmar, died 169 years ago today. Affectionately known as Saya Judson, he is remembered as Myanmar’s most significant missionary. He arrived in Myanmar in 1813 at the age of 25 and spent years learning Burmese before beginning his preaching on Baptism. He baptized his first Burmese convert, Maung Naw in 1819. Two years later, he baptized his first female Burmese convert, Ma Min Hla. 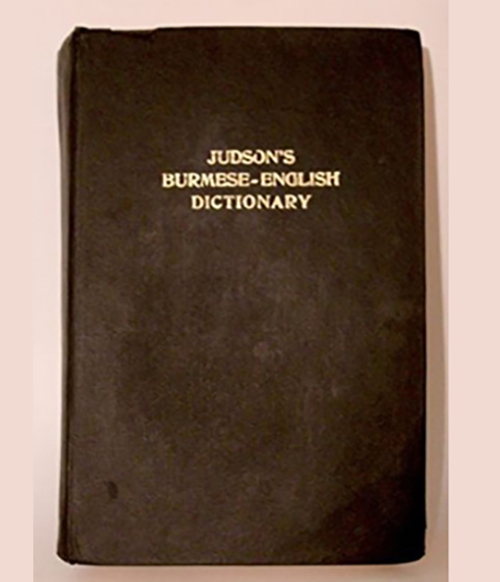 Judson is also remembered for compiling the first Burmese-English dictionary, English-Burmese dictionary, and the first Burmese grammar book. He translated the Bible into Burmese and also established a number of Baptist churches in Myanmar. He faced many challenges in Myanmar and came under pressure from the authorities who were unhappy with his work in converting people to Christianity. He was regarded as a spy during the First Anglo-Burmese War, and was imprisoned at Inwa, then called Ava, for over a year. Judson translated the Treaty of Yandabo, the peace treaty credited with ending the First Anglo-Burmese War. He dedicated his life to his missionary work and eventually developed eyesight problems and headaches. He was advised by doctors to take a sea voyage, and on April 12, 1850, at the age of 61, he died onboard a ship bound for America. He was buried at sea in the Bay of Bengal. The Judson College, the forerunner of the Yangon University, was named after him and the university campus is still home to Judson Church. Judson was regarded as a Burmese man of letter by the local literati. A church which is still in use in Lanmadaw Township, Yangon, was named in honor of Maung Naw, his first convert.